Children see magic because they believe it exists. 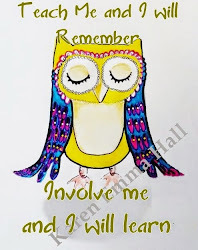 Karen Emma Hall is a children’s author, artist and founder of Kid Literature, an online platform for writers, artists and anyone with a passion for reading and writing. Karen has a passion for showing how exciting and pleasurable reading books can be, making storytelling an adventure of discovery. 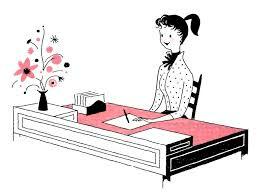 Karen’s love for writing developed while reading to children as an auxiliary nurse and nanny. She studied for her N.N.E.B as well as many courses over the years in art, literature and child care. Her first series of children’s stories are a little bit magic. They leave readers with that magic feeling. If you love owls and you love cats, then you are going to adore her own fully illustrated books. Karen believes that being able to read and write is the most basic foundation of knowledge that propels us as children into a world ready to be discovered. With literacy comes a quality of life that can take us to the far ends of the earth without even leaving our own room. You can go anywhere in your imagination, and having a book at your fingertips is an accomplishment in itself; you have the universe in your hands. 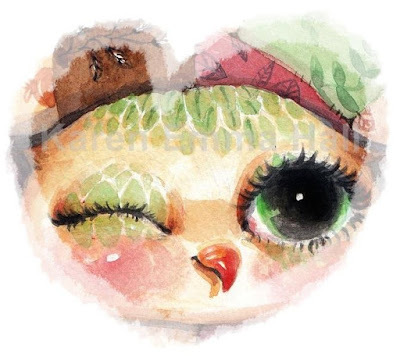 Karen's first book is about a little owl and it is called 'Hello Teeny Pheeny', a charming story that takes place in a magical village of owls and in the book we see Karen’s owl illustrations – cozy, enchanting, full of character. Well Teeny Pheeny was born one day quite by accident, after my visiting a beautiful rescue owl called Phoenix. 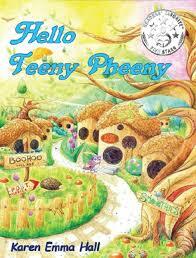 My children gave my storybook owl the name Teeny Pheeny, naming him after this amazing creature we helped rescue. It is a name (and an owl) that children will love and want to know more about. The day Teeny Pheeny was born I knew he was going to be rather special. 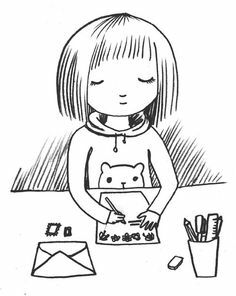 From the perspective of my own writing, there’s another Teeny Pheeny book almost complete with brand new illustrations, in fact the first series is penned and edited. Then there is as a book for middle grade readers, called Cory in Cold Cliff Castle. It’s a wild adventure with gruesome characters that will hopefully attract boys to reading. Very fun, Scooby Doo meets Hammer Horror. Also a cat ryhming book and other cat things! But there is still decisions to be made about which one to put out first and what art is going in these book. Check the progress on Twitter and the website and I will be excited to share this from my new author page late this year. Follow Karen and Kid Literature on their journey. So what age do I write for? Middle grade, or Young Adult. So what are the differences between middle-grade (MG) novel and a young adult (YA) novel? and does your book fall between these 2? 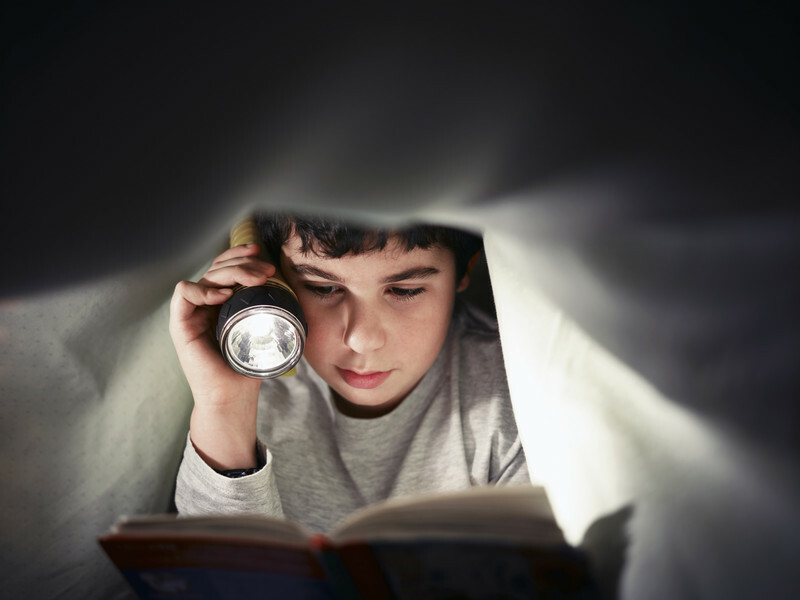 If you think of MG as literature for readers ages 8–12 years, and young adult (YA) as literature for readers ages 13–18 years, then that is a good starting point. So when writing for the younger audience you do need to know what sets them apart from each other and what category you are writing for. If you remember MG characters are mainly focused internally; meaning it will be focused on self-growth, learning who they are. Young adult characters are focused more externally, noticing the world around them and how they fit in, how they affect things. Often, that's a huge part of a YA character's growth throughout his or her story; moving from a naturally self absorbed stage in life, where the world revolves around them, to thinking outside their heads, and what is going on in the outside world, and how others feel. So becoming more aware of the feelings and situations of others. 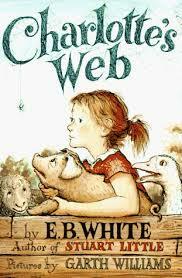 Remember children like to read about characters who are older than themselves. Middle grade books do not mean for middle school age children. Middle school age children tend to be divided about reading MG and YA books. So if you are writing for middle grade, you are writing for your readers who are aged between 8–12 years old, and usually the length is generally 30,000–50,000 words No profanity, graphic violence or sexuality. You will be focusing on the immediate world as seen by a child of 10 for example, who is still self orientated. Young Adult books are very popular at the moment and are marketed to adolescents and young adults. 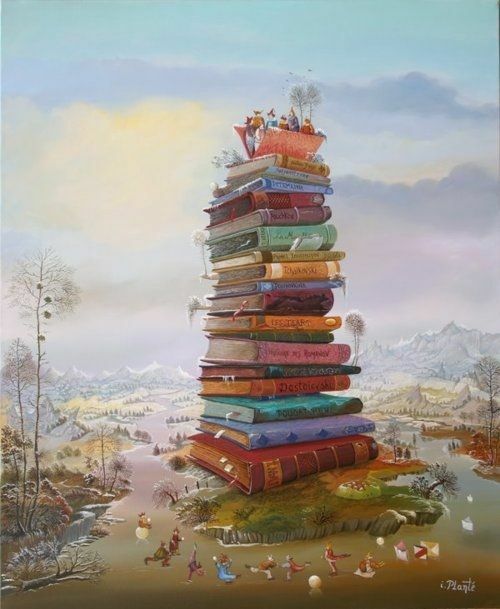 A young adult book is defined as literature traditionally written for ages ranging from 13-18 years. It has been said to also be up to 25 years, but if you enjoy a book at any age, these are just guidelines. 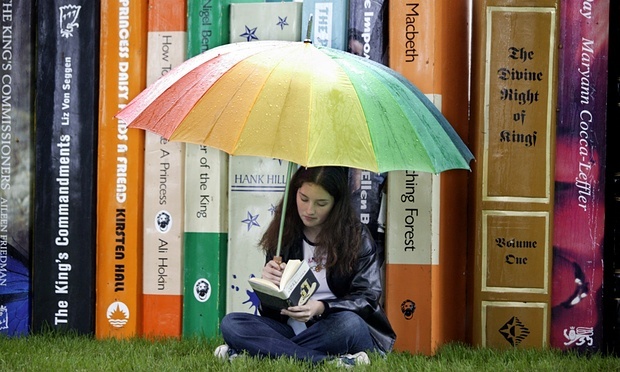 Teen fiction can be classed as books from the ages 10 to 15 years. So with all of these confusing guidlines and inbetween MG and YA readers, how do we know who our novel or book is for? Generally a YA novel word count is between 50,000–75,000 words. More in some cases, like a fantasy. And just because profanity, graphic violence, romance and sexuality are more likely to appear in YA storylines, it does not mean it has to be full of these topics all the way through. Focus on the story, how the characters fit into the story and beyond their world, and how they analyze the meaning of their existence and what is happening around them. Age of protagonist: Ages 13-18 as a guide. Some YA readers may fall for a younger YA book range. A younger YA book is one that appeals to the older end of the the MG crowd as well as the younger YA and has cleaner content and as mentioned before can be called teen fiction. That is not saying a younger reader would not steer towards the more mature YA books, and sometimes you have the older reader reading the younger YA books too. But for the wider audience, you'll generally want your protagonist to be on the older side. 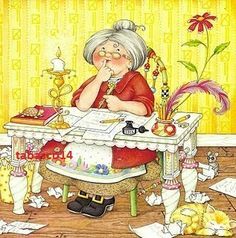 if you aren't so sure whether your current project is YA or MG, I think you need to ask yourself - what age am I writing for? what's the romance like? where's the focus? what's the genre? If it has deep loving, deep feelings, or sensitivive topics like drugs or abuse, then it will not be MG. Keep asking yourself questions throughout your book and you will also learn more about your story and characters. Your aim is to write a story that is meaninfuly and complulsive to your reader, and you have to know who your reader is. You are learning this as you write. Understanding it more because as you are the story maker, you decide what goes into the story, you get to know it inside out and questions that may not be apparent at the beginning should be made very apparent by the time you finish. I know we need guidelines to an extent, but write for yourself, forget about the rules while actually writing, just write, and love your writing and where it takes you. Once you have asked your questions, and know who the age range is you are writing for, then it is time to let your pen do the talking. what in the world prompted you to write fiction for kids? 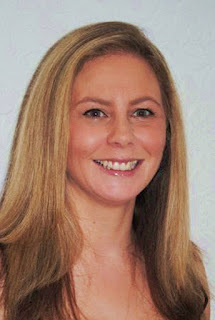 Kid Literature are pleased to have Shana Gorian on their blog today talking about - what made us decide to write fiction for kids? and meeting Rosco the rascal. Shana Gorian is the author of the Rosco The Rascal Series. 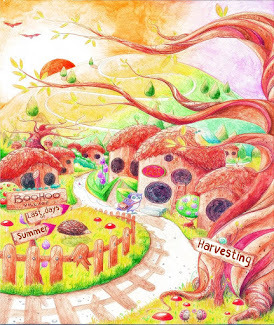 Her chapter books, for young readers ages 6-9, includeRosco the Rascal Visits the Pumpkin Patch, Rosco the Rascal in the Land of Snow, and her newest release coming in July 2015, Rosco the Rascal Goes to Camp. Please visit her on the web at shanagorian.com. Author Interview, Part 1: What in the world prompted you to write fiction for kids? In the first of a new short series of blog posts, I’ll be answering some of the questions I’ve frequently been asked about my writing. First question: what in the world prompted you to write fiction for kids? It all began several years ago, when I started writing a picture book about my fun-loving German shepherd. I had invented a character based upon him – Rosco the Rascal – as this enormous, overgrown puppy pulled us around on his leash in the evenings. My kids and I would laugh at his funny behavior as he encountered the usual sights and sounds that make a dog’s life interesting. But Rosco the Rascal’s character grew, because this real dog of ours was always getting into trouble and providing a multitude of inspiration. He chewed up the license plate and the mud flaps on my minivan. He chewed up our outdoor barbecue. He got bitten by a squirrel. He ran off with the tennis ball when you tried to play fetch, willing us to chase him instead of just chasing the ball again for us like most dogs would. He ran off to neighbors’ homes when we thought he was safely in the yard. But he was mischievous only because he was a dog being a dog. He had a good heart and a steady temperament. What he lacked was a solid set of manners. (We’ve since worked on that with the real dog, fortunately, through a lot of training.) But that early lack of manners and the outrageous behavior are what Rosco’s character is based upon. Time went on, and I eventually wrote a short story about him for my children. Rosco had human-like thoughts and actions, but he was just a dog, like any pet. He would find or make trouble, then fix the problems he created; learn something every time, grow up a little more, just like a child. Simple personification of a dog. My story was to be an illustrated book for ages 4-6. My own children were much younger than they are now, when I started writing it, (4 and 7 at the time) and still reading picture books on a regular basis. The story line was cute and sweet and funny and accessible. It’s worth mentioning that we were that family that had three library cards, one for me and one for each kid – who visited the library each week, and often maxed out the cards as we filled our tote bag with books. So many cards were necessary in case each child wanted to play the games on the library’s computers or if we had a fine on one card and I didn’t have cash on hand to pay it. Or if we went over the 30-book limit in our wild freedom of choice, we’d never have to leave empty-handed. But I was always the sorry-looking mother crouching over from the weight of the bag as I limped back to the car holding my smallest child’s hand. Every night we had ‘books time,’ in which we read three or four picture books, taking turns reading out loud. We loved it. But, I digress; back to my writing. Needless to say, over the years we had literally read hundreds and hundreds of picture books. So I ‘knew my stuff’, as far as picture books went. 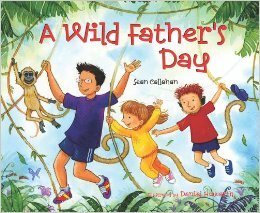 Books for children for Fathers day, books for dads, and books about loss. Children love to treat their Fathers to small gifts of appreciation, homemade things are the best, and homemade cards and pictures are always top of the list. But a book to read together can be very special. Not only do they teach kids wonderful things about consideration and empathy and thinking of others, and the joy you give others when you are giving and not receiving. 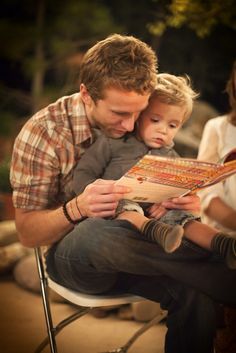 It can also teach Fathers to share story time more often and how enriching and important it is when embraced in their life. A good read from birth up over. Everyone’s daddy is the best. And who better to tell the world than children themselves? This charming book combines endearing things said by children about their fathers with gentle illustrations of familiar animals. The text is amusing and insightful, with reasons why daddies are loved by their children ranging from ‘because he tickles me’ to ‘because he is my best friend’. 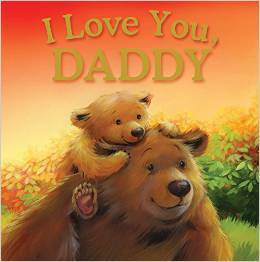 With beautiful pictures and charming words from children all about daddies, it’s just right to give to Dad and to read together! read this with or to your child at any age. 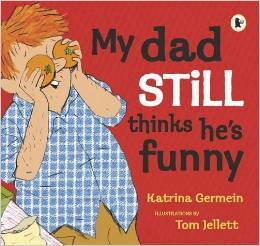 This delightful witty book tells the tale of how a young boy traded in his dad for two goldfish because all his dad did was sit and read the newspaper. When the boy's mother finds out what he did she tells him to go get him back, but it wasn't as easy as he thought it would be. The father gets traded all around town! This whimsical, yet sarcastic, book is a fun read for upper elementary children. Day-Swapped-Dad-Two-Goldfish for all ages. No father could fail to be touched by this adorable, heart-warming book. 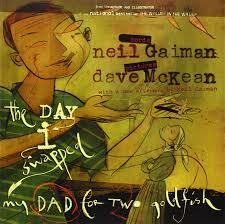 It gently and lovingly affirms the unbreakable bond between a father and his child. A cunning study in role reversal, with Lee Wildish's over-the-top illustrations well in keeping with a jaunty text. children 3-8 years approx. 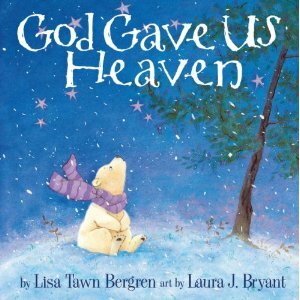 A story to bring comfort and hope to children who have experienced the death of a loved one. To read yourself and decide what age best to read to your child. 17 My Dad still thinks he's funny! A sequel to My Dad Thinks He's Funny, and a great Father's Day gift, dad is back by popular demand with more hilarious material in this witty celebration of dad humour. Dad still thinks he's funny... and says silly things like,"I've told you fifty million times, don't exaggerate." 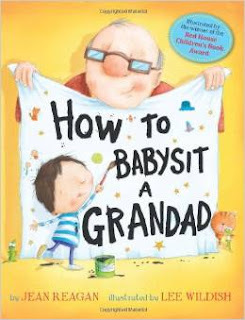 By turns funny and sweet, and with exciting art from award-winning illustrator Tom Jellett, this is the perfect read for anyone who enjoys a good laugh - and the occasional eye roll! 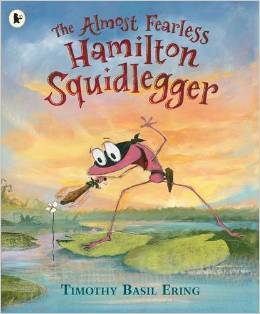 From the illustrator of the multiple award-winning The Tale of Despereaux, comes the endearing tale of Hamilton Squidlegger - a boisterous youngster with a huge fear of the dark. During the day Hamilton is fearless! He can triumph over all the frackensnappers, skelecragons and bracklesneeds in the swamp. But at night? Well, he quakes in terror... Will his dad be able to help him remain fearless in his own mud all night long? The perfect bedtime read, this terrific dad-and-son adventure tale involving monsters, seafaring and wormcake is brought to life by Timothy Basil Ering's colourful, energetic signature artwork and hugely imaginative language. These books are amazing, and will lead on to many more about that special relationships in the lives of little children. A soft and gentle take on family life and relationships that perfectly captures the humour and impulsive nature of family life, and those people. Also books of a delicate nature that can help children understand about life and loss and death as a natural process, but how to deal with it and not hide it away or pretend it didn't happen. Some parents feel that if they do not talk about grief or loss with their children they are protecting them, but alas to protect them we must allow them to discover about life by approaching difficult subjects in the easiest helpful way, and allowing children to be able to come to us with questions, books are ideal to help in these areas. 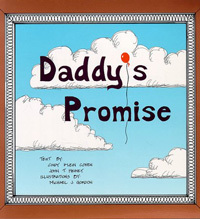 These brilliant story books also capture the unbreakable bond between father and his children. Dad might not be a superhero, but he can always make a superhero mask or wear his pants outside his trousers, even if he does super snores or think he's funny! Dad can still make monsters go away at bedtime, because he is going to read to me again tonight yehh!! Yeh for Dads Happy Fathers Day everyone, to all Fathers and all remembered!